Windows Movie Maker or Windows Live Movie Maker, was first introduced with Windows ME back in 2000. The free video editing software from Microsoft was part of Windows XP as well as Vista. Although the program was not part of Windows 7 and Windows 8, one could get it by installing Windows Live Essentials suite. Those of you who have tried Windows Movie Maker for at least once will agree that there is no program as easy-to-use as Movie Maker for Windows operating system. 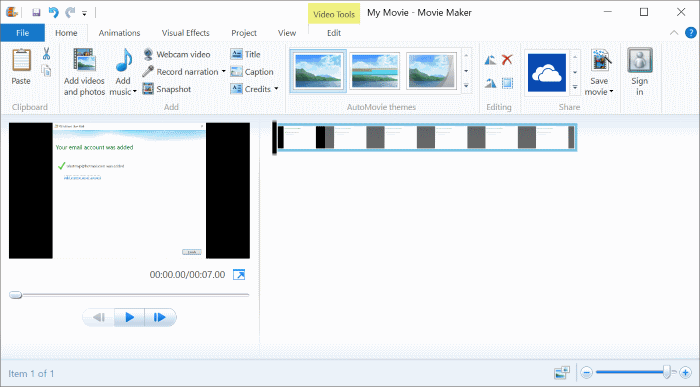 Although Movie Maker offers basic editing tools, it’s good enough for most users. As you likely know, Movie Maker is part of Windows Live Essentials program and Microsoft hasn’t updated Live Essentials since 2012. In fact, in 2012, Microsoft discontinued the Windows Live brand for some unknown reasons. If you upgraded your Windows 7 or Windows 8.1 installation to Windows 10 and now wondering if Live Movie Maker is compatible with the latest version of Windows, then you will be surprised to know that Movie Maker is fully compatible with Windows 10. You can install and use Movie Maker on Windows 10, just like on previous Windows versions without any issues. The popular Live Mail can also be installed on Windows 10. 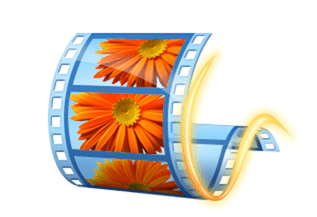 With Windows Movie Maker, you can easily edit import and edit videos and slide shows, add and edit audio, edit your video by trimming, splitting or slowing it down and once done, you can upload the video to popular video sharing sites like YourTube. Follow the given below directions to download and install Movie Maker on Windows 10. Meanwhile, if you’re relatively new to Live Movie Maker, don’t forget to check out Live Movie Maker tutorials to brush up your movie editing skills. Please note that installing Movie Maker also installs Photo Gallery software. The Photo Gallery is a powerful program to view and edit images. UPDATE 2017: Microsoft has discontinued Windows Live Movie Maker and other Windows Live programs. These programs are no longer available for download from Microsoft. So, we have linked to a safe third-party website from where you can download the setup file. Step 1: Visit this page Windows Essentials and download the web setup file. The setup is compatible with all editions of Windows 10, both 32-bit and 64-bit systems. Step 2: Run the setup file, click the second option titled Choose the programs you want to install, deselect all programs except Live Movie Maker, and then click Install button to begin the installation. Once the Movie Maker is successfully installed, “Windows Essentials is installed” message will appear on the screen. You can then launch the Movie Maker by typing the same in the Start menu or taskbar search box. You might also want to download Windows Live Mail for Windows 10. HOW TO DOWNLOAD THIS BRO PLZ TELL ME? Oh my gosh this worked! Thank you such much!!! You can now download it from this place. It’s safe. “Windows Essentials 2012 suite reached end of support on January 10, 2017. Is there another TRUSTED source? I am using Windows 10 movie maker and encountered an error message when I click on “ppreview full screen” – Error msg “Windows live movie maker stopped working. A problem caused the program to stop woring correctly. Windows will clse the progam and notify you if a solution is available.” Could you please advise if this is a genuine error as copied data on a thumbdrive can be read on lower Window version on a separate PC. Kindly advise. Trying to install Windows Love Movie Maker on Windows 10. JBG, I have updated the link to reflect the new official download page. The link page doesn’t exist? WTH? As of today I downloaded and installed this software but it will not play any of my video files. I think the new windows anniversary update squashed wmm but it could also just be on my end. I’ve tried every thing possible to get it to work including several uninstalls and compatability tricks to no avail. I’ started using Windows Movie Maker back in the year 2005..It’s nice and easy to use video editing software..